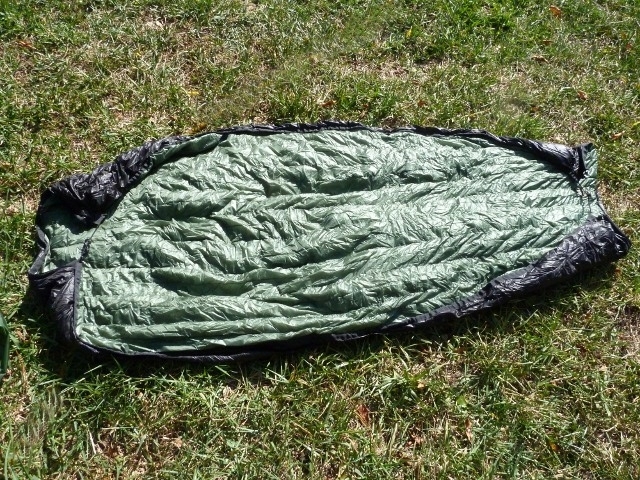 The Incubator is a full-length down quilt from hammockgear.com. I opted for the 40 degree summer quilt at just 19 oz. However, I decided to overfill with an extra ounce of down. It increased my weight slightly but Adam from hammockgear was confident that would get me down to freezing. Using the provided stuffsack the UQ packs down very small. However, many backpackers prefer to simply stuff the loose UQ into the pack letting it fill whatever space it finds. 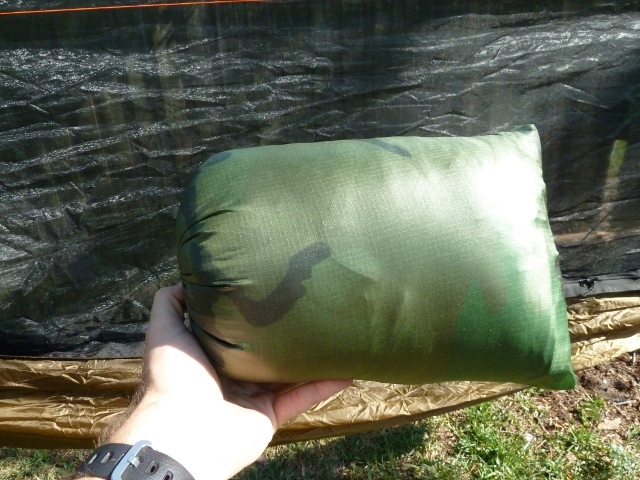 The underquilt is extremely well made and I couldn’t be more happy with the performance or the workmanship. It uses a differential cut so that a deeper end rests at the head/torso and a shallow end rests at the feet. Each end has adjustable bungee suspensions and drawstring closures to open or close the gap between the hammock and the quilt. I opted for a reversible hammock so I can change the color based on my mood. 🙂 One side is black and the other is green. Together they make a nice combo. I understand there have been some design changes since I purchased mine but I’m not aware of what they are. Remember my goal was to be able to hit freezing without, well, freezing. I’m happy to report that I’ve successfully camped in 23 degree weather without any complaints. In the following image you can see how the UQ is wider and deeper at the torso and tapers towards the feet. OMG, thank you for the first and only USEFUL review i’ve seen. I was trying to figure out if the HG incubator 40 would work 3 seasons in Indiana, sounds like it would be perfect, my camping temps will be from low 30’s to 70. I’ll get the extra oz of fill as well. Thanks again for USEFUL information…. Thanks for the kind words. I’m glad you found it useful. I love the Incubator! If you haven’t looked at it the Burrow is awesome too!